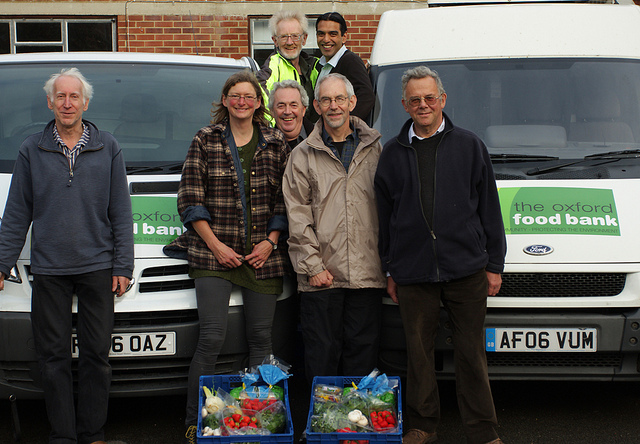 The Oxford Food Bank picks up fresh food from about a dozen supermarkets and wholesalers in the Oxford area, and delivers it to about 80 charities. It is an example of a really successful, large, ‘food for charities’ type organisation, and was the inspiration for Food for Charities. Riki was a volunteer and trustee for the Oxford Food Bank for 4.5 years, helping it grow from a few suppliers and 15 charities to a dozen suppliers and 80 charities. She brought in £13,000 of funding.